Tucked away off a tree-lined block in the heart of Carnegie Hill lies the esteemed Carhart Mansion. Designed by Horace Trumbauer as a Louis XVI Parisian townhouse, it has been described as “one of the finest examples” of New York City French Classicism. The mansion was converted into four exclusive, full service, and grand scale residences in 2005 — and now one of those four homes is on the market for $US34.9 million. 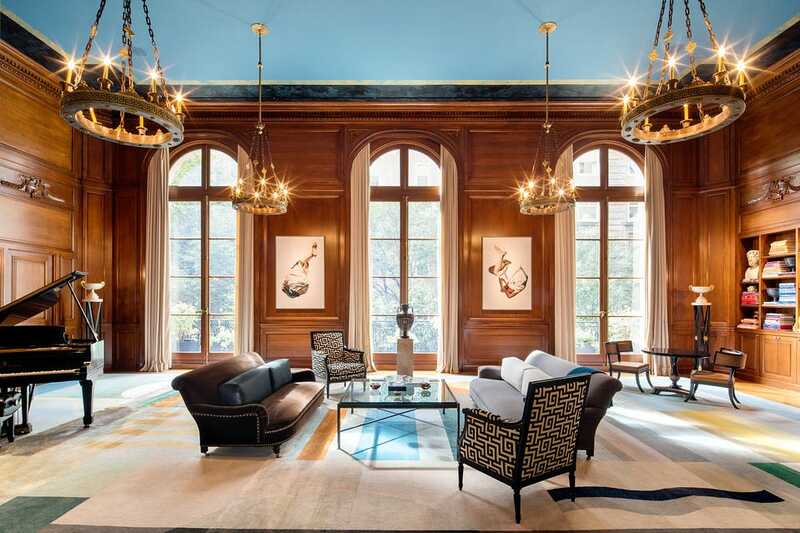 Major democratic party donors Dennis and Karen Mehiel are selling their incredible condo, which spans two floors of the Carhart Mansion with 17 grand rooms and over 10,350 square feet of space. According to the Wall Street Journal, the Mehiels first put their condo on the market for $US35 million in 2008, right after the financial crisis. “Our timing was very poor,” Mehiel told the WSJ. They pulled it off the market in 2010. But due to the luxury real estate boom in New York City, the palatial duplex is back on the market. Carrie Chiang of Corcoran Group Real Estate has the listing. Welcome to the Carhart Mansion. 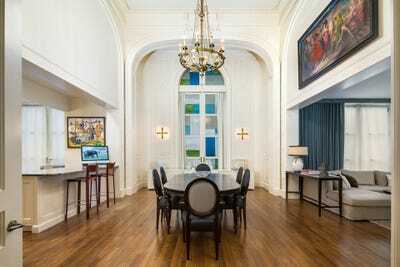 This Upper East Side home was originally designed in the French neo-classical style. The grand salon has soaring 20-foot-high ceilings. The condo stays true to its Parisian design with massive French doors. 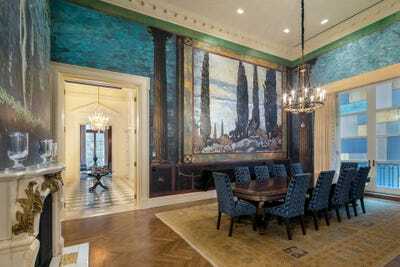 The formal dining room has a massive mural that would impress any guest. The duplex also has a library, family room, study, staff room, and exercise room. The condo for sale has a grand total of seven bedrooms and six bathrooms. The master bedroom even has his and hers dressing rooms. The mansion has even been rewarded for its valuable contribution to the neighbourhood's architectural history. It received the coveted Palladio Award for Classical Architecture in 2007. Want to see another mansion?